Mega Man X Legacy Collection (Capcom, 24th July, $19.99) The celebrated Mega Man X series returns! Play as Mega Man X – the powerful successor of classic fighting robot Mega Man – as he battles a variety of deadly bosses known as Mavericks in four hit titles. Mega Man X Legacy Collection includes the legendary 16-bit titles and the series' exciting foray into the 32-bit era: Mega Man X, Mega Man X2, Mega Man X3, and Mega Man X4. Mega Man X Legacy Collection 2 (Capcom, 24th July, $19.99) Complete the exciting Mega Man X saga with this collection of four action-packed titles! Spanning two gaming eras, this collection showcases the evolution of the series with Mega Man X5, Mega Man X6, Mega Man X7, and Mega Man X8. Bomb Chicken (Nitrome, out now, $14.99) Who doesn't love chicken… especially when it's smothered in delicious blue hot sauce? After a freak accident a seemingly ordinary chicken becomes a bomb-laying, free-range hero. Explore the versatile mechanic of laying bombs in this explosive exploration platformer, and answer the ultimate question: Which came first the chicken or the bomb? Read our Bomb Chicken review. ACA NeoGeo League Bowling (SNK, today, $7.99) This is a bowling game released by SNK in 1990. You are able to select your dominant arm and ball weight, using precise controls to play just like real bowling! Animal Rivals: Nintendo Switch Edition (Blue Sunset Games, today, $3.99) Animal Rivals is a crazy party game for up to 4 players. Different characters, game modes, lots of stages and tons of fun. Many unlockables like costumes and skins. Arcade Archives: City Connection (HAMSTER, today, $7.99) City Connection is an action game that was released from JALECO in 1985. Girl Clarice drives "Clarice car", and runs around the world in search of the ideal of man. Read our City Connection review from it's Wii U eShop release. Beat Rush (FuryLion Group, out now, $4.99) Catch the beat and rush forward! Dodge the spikes and traps! Collect lots of gold on the way to the top! Chicken Assassin: Reloaded (Akupara Games, 17th July, $7.99) Chicken Assassin is a fast paced action-RPG with an outrageous storyline filled with over-the-top humor that boasts a myriad of colorful enemies and visually stunning levels and environments. Frost (Digerati, today, $12.99) Frost is a deck-building, solo survival card game set on a harsh, frozen world ravaged by a lethal storm. You must lead a group of nomads in search of the Refuge – a haven away from the Frost's icy grip. Galak-Z: Variant S (GungHo America, out now, free to play) GALAK-Z: Variant S is a brand new, one-of-a-kind, space-shooting action-RPG that is specially crafted to take advantage of all of the unique features of the Nintendo Switch. Ghost 1.0 (Francis Cota, out now, $9.99) Ghost is a metroidvania where two super hackers hire a mysterious agent in order to infiltrate the Nakamura Space Station and steal the greatest electronic secret ever. Of course, the space station will defend itself, which is where the fun begins: the station's defences, with their never-ending arsenal of weapons and artifacts, will have to be destroyed. Read our Ghost 1.0 review. Guts and Glory (tinyBuild Games, today, $14.99) Welcome to Guts and Glory—The craziest game show on earth, where ordinary people compete in extraordinary challenges of life and death, for glory! The objective is simple: Race to the finish line while everything tries to kill you. Heroki (Picomy, 20th July, $9.99) The peaceful sky village of Levantia is in danger! The dastardly Dr. N. Forchin and his accomplice, Vapor, have stolen the Emerix - a powerful amulet and all hope may be lost! Fly into a beautiful action adventure and save a whimsical world full of flight and fantasy. Read our Heroki review. Hungry Shark World (Ubisoft, out now, $9.99) Experience life as a shark and eat everything that gets in your way in this action-packed aquatic adventure. Control more than 20 sharks in full HD and take on fearsome bosses as you venture into the depths to find trapped sharks, hidden treasures, and more. Lost Phones Stories (Plug In Digital, today, $9.99) The Lost Phone games are about exploring the intimacy of an unknown person whose phone you've found. They are designed as narrative investigations where you must piece together elements from the different applications, messages and pictures to progress. Through the interface of a mobile phone, you must discover what happened to their owner. NoReload Heroes (Forever Entertainment, today, $9.99) NoReload Heroes is a chaotic co-op party shooter for up to four people. You play as a team, fighting your way through randomly generated rooms filled with various types of enemies, picking up insane magitech guns on the way. Pool Panic (Adult Swim Games, today, $14.99) Pool Panic frees billiards from the table and unleashes it into a world where everything from jungles and deserts to cities and swamps is a living pool game! You already know that sinking eight balls is the ultimate goal, but can you succeed while contending with monster balls chasing you, or ballerina balls leaping away from your well-aimed shots? Sausage Sports Club (Luckshot Games, out now) - Sausage Sports Club is a physics game about adorable, floppy-necked animal friends competing on a reality sports TV show. Duke it out with up to 8 friends in Free Play, where you'll compete in tons of game modes like Soccer, Sumo and Capture the Flag. Semblance (Gambitious, 24th July, $9.99) Semblance is a innovative platformer with deformable terrain, set in a beautiful minimalist world. It's a game that asks, what if you could deform and reshape the world itself? Semblance takes the idea of a 'platform' in a platformer and turns it on it’s head. What if platforms were actually part of the gameplay, part of the way you solved problems? Spheroids (Eclipse Games, 20th July, $7.99) In Spheroids you take control of Lucas, a jumpy Canadian boy who sets out on an adventure with his crazy scientist companion Otto after it's discovered that the government has been hiding alternative universes from the cubic world they live in. Starship Avenger Operation: Take Back Earth (Tom Create, today, $4.99) In a distant future... When mankind advanced to outer space, the Crius suddenly appeared out of nowhere and began invading humanity. Mankind's defense network in the solar system was no match for the overwhelming forces of Crius and were quickly defeated. Tanzia (Arcanity, today, $19.99) Years ago, your grandfather disappeared under mysterious circumstances. Before leaving, he sent you into hiding on Volcano Island. Now older, you've been set free by your guardian and mentor Abenaki to follow the mystery... but is Abenaki telling you everything? Voxel Shot (Sat-Box, out now, $8) Voxel Shot is a simple pick up and play action game set in an adorably quirky world of toys where you and your friends beat up zombies (and each other!) using a variety of different weapons. VSR: Void Space Racing (Sonka, 20th July, $9.99) If you're looking for your generic futuristic racer, look for it elsewhere - this game is not for the faint of heart! Impactful and challenging, VSR: Void Space Racing gives you the opportunity to fly through vast and diverse locations in outer space and prove yourself worthy of the first place! Werewolf Pinball (EnjoyUp Games, 20th July, $1.99) The most entertaining Pinball is back! Enjoy Werewolf Pinball, a perfect reproduction of a real pinball machine, with all the graphic details and sounds. The Second Nintendo Labo Creators Contest: Enter for a chance to win a specially designed, collectible cardboard-inspired Nintendo Switch system, Nintendo Labo Creators jackets and more. The contest runs July 19 at 11 a.m. PT through Aug. 20 at 10:59 a.m. PT. For more details about how to enter, click here. Octopath Traveler My Nintendo Rewards: To celebrate the launch of the Octopath Traveler game, My Nintendo is offering eight different box art covers (one for each of the main characters) for the case of your Octopath Traveler game (sold separately). Redeem your points and choose your character for your box art cover! Plus, we’re also offering downloadable wallpapers for your PC or smart phone. Check out the details at My Nintendo. Celebrate the One-Year Anniversary of Splatoon 2 with a Splatfest and My Nintendo: July 21 marks the first anniversary of the Splatoon 2 game, and we’re celebrating with a global Splatfest! Which sea creature is your favorite, Squid or Octopus? This hotly contested Splatfest will occur from 9 p.m. PT on July 20 until 9 p.m. PT on July 21. To help celebrate, My Nintendo is offering Inkling and Octoling printable posters, as well as downloadable wallpaper. Redeem your points for these rewards today. I'm glad there are two chicken-themed games this week. The Switch was really lacking in chicken-based entertainment. Pretty tempted to buy some American eShop funds and pick up Pool Panic instead of waiting till next week for the Australian release. I've still got a ton left to do in Octopath Traveler though so I'm probably better off just waiting. Keen to play it though. Pool Panic, Bomb Chicken, and Mega Man X Collections 1&2. Good week. Got my MMX LC physical coming in the mail Tuesday. Oh-ho-ho yes. City Connection arcade game? Kind of lame... I wish Hanster would go after some of the true arcade classics, how about the Cruisn’ series? Tron? Pool Panic for me most likely. I have to sit at the hospital through a 16 hour surgery next week so I’ll be downloading some stuff today. Any recommendations for games to keep me occupied at the hospital? No games that require a lot of reading - I can’t stay focused in public. I was thinking the Octo Expansion and possibly Pool Panic. @Jordan_SW He got sidelined to reviews after 'a long stint' as editor. Hello there lovely people. Dom is now on our reviewing team, so you are stuck with yours truly for the NA download update now. We've done things slightly differently this week, so do let us know if you like how everything is presented. Also, we have changed the poll so you can pick 3 games now! @Dazza MEGA MAN. X. Why can't it just release today for crying out loud? @Dazza well played Dazza mate. No complaints from me. Gungeons and draguns should release today too! I’m honestly curious why Pool Panic is so popular. Feel free to @ me! @Dazza Quick question. As you specifically mention US update (could be just as we are in here), but does that mean the EU update is covered by someone else now? Or is that yours too? I want City Connection and the Mega Man X stuff. Can't wait to grab Pool Panic, looks like loads of fun. I'll be grabbing the Wario Ware demo, as well. A demo is a free game to me! According to Nintendo.com and Jupiter’s site Sanrio Characters Picross also releases this week. I’ve already preordered a physical copy of WarioWare Gold (the production values won me over), so I’m excited to try the demo. Barring some amazing announcement from Nintendo, this will probably be my last full-price retail game for 3DS. I’ve said that before, but this time I think I actually mean it. Everything from here on out looks like it’s just going to be a bunch of remakes and ports. Other than that, Pool Panic looks very intriguing, but I will wait on the review and the file size before I think about buying. I’ve just got so much to play and no time to do it. 25 new Switch games. Welcome to the new standard. One of the week when despite plenty of releases, few interest me. Megaman and the not on the list - Sanrio Picross only for me. Wow- Zelda BotW, Skyrim, and now Octopath Traveler. OT is my 1st ever Jrpg and I am loving it- even though I'm getting destroyed at Ophelia's boss right now. 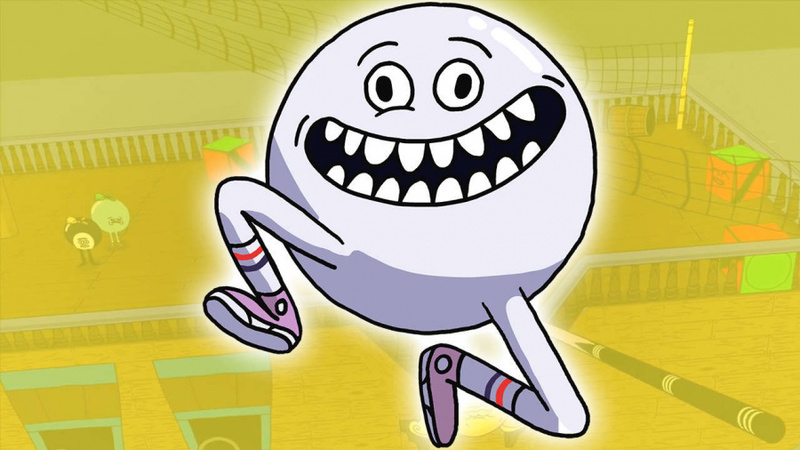 Might pick up Pool Panic if it gets good reviews though. @Dazza Thats great. Think it is better to tackle them separately especially with how much of a waffle the EU update is with the sales listings. Its a lot to take on for one guy. @jobvd woo, more Enter the Gungeon goodness! I may download the WarioWare Gold demo, but I don't know if there's much of a point after watching footage of the European version. It seems to be a very small selection of microgames for the demo. I forgot it's Mega Man X time. Will be getting both collections as soon as they are available!! I don't see any reason not to download the demo for WarioWare Gold, but I'll be giving everything else a miss. That adult swim game, in particular, looks horrifying. And I've never cared much for the Mega Man X games (beyond X4, and mostly due to nostalgia). Pretty good week. I managed to get Bomb Chicken a couple weeks early due to an eShop error and that was really good, plus I've super been looking forward to Pool Panic, it looks like a stupid good time. I went with nothing for me, but that may change if Pool Panic reviews well. Plus Octopath has got me locked down at the moment. Nothing at the moment. After I finish Octopath Traveler, I will go for Mega Man X Legacy Collection 1 & 2. I am inexorably drawn to Sausage Sports Club. Octopath and Taiko have me for the next few months. However Pool Panic is going on my wishlist. @Bones00 While I’m not (yet) sold on Pool Panic, I’m intrigued, as I’m sometimes drawn to games that appear unique or unconventional. Of course, there is a pitfall of being different only for the sake of difference itself, which is why the jury’s still out. Beyond that, I like absurdist humor, which seems to be present in Pool Panic. With that said, I admit that my gaming choices tend to fall into established patterns, favoring genres that I typically enjoy (e.g., shmups, dual-stick shooters, platformer, racing). But I’m open to something else, if it seems like something I might like. Nothing for me on Switch, but I did pickup a NES Classic Edition, and I will be picking up the Mega Man X Legacy Collection on Ps4 next week so I can actually have both games as retail disc, instead of the half download and half retail junk that is getting released on Switch. Heroki has 1% that maybe coming only from my side! I did a pre-purchase due the discount incentive. I am really interested in Pool Panic, shame they didn't do a similar pre-purchase scheme. Will definitely pick this up when on sale. @justin233 If you like logic puzzles, I've enjoyed Human Resource Machine. It's essentially like using Basic programming to solve challenges. But it's all moving blocks around, so you don't have alot of dialogue or reading things. GALAK-Z is alright for what it is. I and Me is an easy going platform puzzler, similar to Braid in a way. Been buying games at an absurd rate since I got a Switch, which is not my typical MO. I keep saying I won’t buy anything until I finish something else, and yet every week there’s something like Pool Panic, or one of the games on my wishlist goes on sale to tempt me, or I finally crumble to the allure of another ACA or Johnny Turbo title. Given the nature of the hardware, I’m also bothered by extra neurosis like finding a game my dad or four year old can play with me, as well as my suddenly casually interested wife. I jumped in to an instant backlog and giant wishlist, and Damo’s Soapbox piece yesterday and a few of the comments below it ring true with me. @HobbitGamer I think I settled on Enter the Gungeon, Octo Expansion, and maaaybe Pool Panic. Mega Man X (collection 1) for me this week. I am yet to start Octopath and I imagine once I open it up that will take over. I am interested in league bowling, but I want to research on it first before I pick it up. Only thing I’m at all interested in is WarioWare, but I just bought the Coma, Octopath, and Nekopara last night anyway. I feel like some really quality indie games are just gonna drown in a sea of mediocre ones (even though Nintendo supposedly curated this stuff, a lot of junk gets through too, I’ll never forget Vroom in the Night Sky). Going to at least check a few of these out, but likely it's nothing for me this week. I have Octopath Traveller, Shining Resonance, and a way-too-big backlog to get through! 2) City Connection — Ah the arcade original, where it really began. I wasn't nuts about the NES one, but I'm curious to see if this will change my mind. Review pending? 3) GALAK-Z: Variant S — Free to start so I have nothing to lose, but I'm not over excited about it. Will still check it out as "Shmup" and "Action RPG" are terms I tend to like. Ghost 1.0 — Like Icey before it, another "I'd like to play if I had nothing else to play"/"Will probably download it once it goes on sale" game that intrigues me. Lost Phones Stories — Visual novel/P&C junkie at times. I removed the individual games from my backlog and added this. I'm hoping it'll get a physical release, then I can just GameFly it and be done with it. I've had backlogs all my gamer life, but damn... the Switch's has to be the biggest backlog I've had to date! Mega Man Collection X is the only one I'm seriously considering as I have too many games right now. Of course there is always the games on sale that get me too. Just the Warioware Gold demo for me. I'll be sure to grab it next time I'm using my 3DS (likely tomorrow; I'm VERY busy this evening....). Please review the Jurassic Pinball, and this weeks' Warewolf one, I'm very curious how they are for $2, and if they rotate for TATE mode. Pool Panic and Bomb Chicken interest me, but I need to see some gameplay for both and still I might have to wait for a sale. Enter the Gungeon or Rogue Trooper Redux are cheap, so I might pick those up tho. Gonna pop some modafinil and get deep in Octopath. Nothing for me this week. Octopath is still dominating my game time!